Whether they consider changing function, sector or location, or starting their own business, moving forward in their career is a key motivator for managers to undertake an MBA degree. EDHEC Global MBA Career Services support them in their transformative journey with the innovative and highly personalized CareeSMART [RC1] programme. 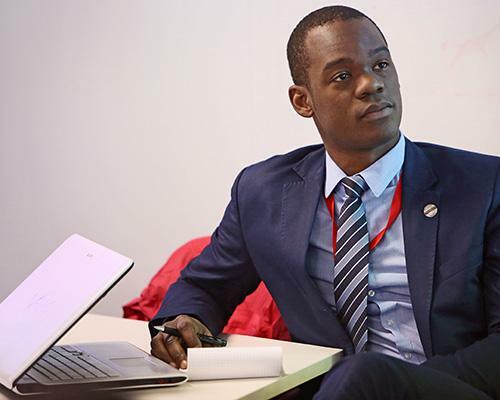 The impact of CareerSMART [RC2] in terms of career development and salary progression contributes to EDHEC Global MBA being ranked 4th MBA in the world in terms of return on investment by the Financial Times. With an average work experience of 7,5 years and average age of 30 [RC3] years old, EDHEC Global MBA participants are at a moment in their lives and careers where they are looking to make changes and accelerate. The success of Career SMART as a tool for personal and professional transformation can be measured by the impact it has had on participants: 59% of 2016 MBAs made the “triple jump” after they graduated, changing function, sector and location, and 86% made at least one change in their career after the MBA.